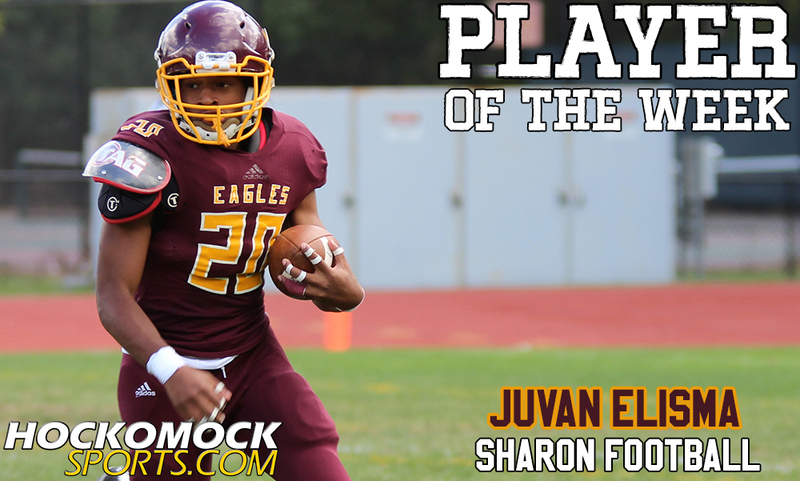 Sharon senior running back Juvan Elisma has been selected as the HockomockSports.com Player of the Week for November 20th through November 26th; the eleventh player chosen for the 2016-2017 season. 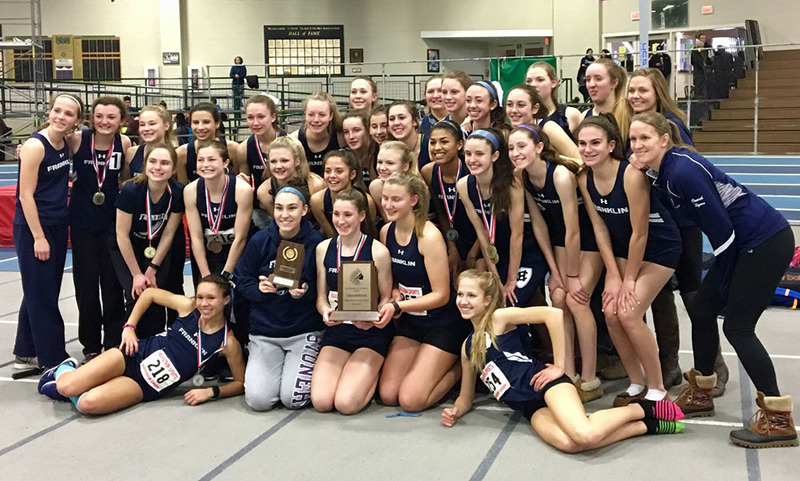 Elisa had a record-setting performance on Thanksgiving morning as the Eagles beat Oliver Ames for the third straight year on the holiday. Elisma broke the school record for both rushing yards and rushing touchdowns in a game in Sharon’s 33-8 win over the Tigers as Muscato Stadium. Elisma’s four rushing touchdowns set a school mark and his 321 yards on the ground broke a record that had stood since 1973. The senior needed just 19 carries (16.9 yards per carry) to set the new school record. Elisma’s record setting game came as Sharon won on Thanksgiving for the third straight time for the first time since 1981. The senior back didn’t waste much time to get things going, scoring a pair of first quarter touchdowns. First, he punched it in from nine yards out to put Sharon up 6-0. Later in the quarter, Elisma broke free for a 60 yard score and a 13-0 lead after the opening quarter. In the third quarter, Elisma added a 40 yard touchdown to extend Sharon’s lead. In the final quarter, Elisma broke free for career-long 80 yard touchdown run to cap the Eagles’ scoring. Over the past two seasons, Elisma rushed for 17 touchdowns for the Eagles. 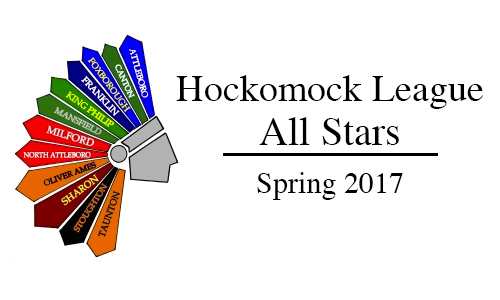 The Player of the Week is selected by the HockomockSports.com staff. Nominations can be submitted throughout the week up until Saturday night at midnight. There may be a poll posted on every Sunday with the nominations. The results of the poll influence the selection but do not strictly dictate the decision.